TULSA — "This grant has basically turned my life around," shares Christopher Collins, a military veteran who lives in Tulsa. He says a few months ago he found himself homeless and living out of his pick-up truck, until he made one simple call that transformed his way of living. "I recognized myself as a veteran, and they put me into a different category," says Collins who dialed the 211 phone line and was quickly connected with the Oklahoma Veteran Connections . He was seeking financial help to rent an apartment, and the referral network stepped in to help. This nonprofit referred Collins to another agency called Ability Resources , which recently received a $20,000 grant to help vets remain independent. A case worker met with Collins, listened to his story and reviewed his file and immediately began to work for him. "Ability Resources was able to talk to the complex and get my rent at a reduced rate for the first six months," says Collins, "It's enabled me to get into a place of my own with my service dog." The agency also covered his first month's rent. 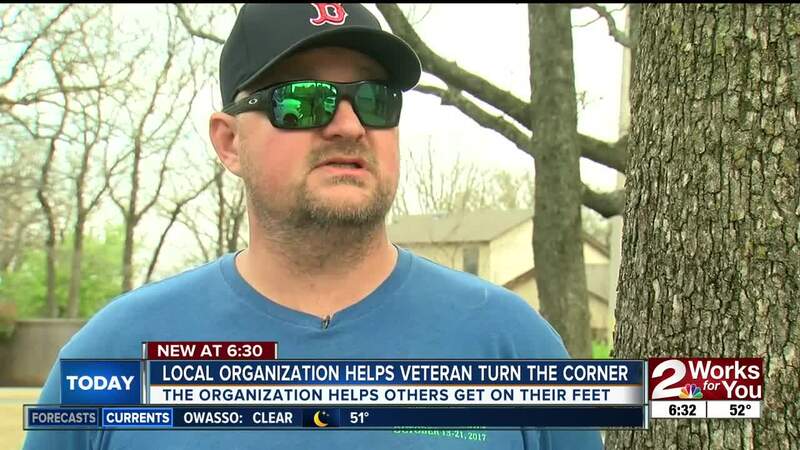 Since 2017, the Oklahoma Veteran Connections, which is run by the Community Service Council which handles the local 211 calls, has worked with different agencies to get veterans the services that they need. They have helped more than 1,000 vets in Northeastern Oklahoma, according to the network's program manager. "Any time I can be part of a group that helps another veteran, it's very satisfying," says Peter Luitweiler.